38041 - 38080 of 76160 items for New Laptop AC Adapter. 14V 4A AC adapter for SAMSUNG S20A350B. 14V 3A AC adapter for SAMSUNG S20A350B. 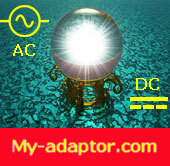 19V 3.42A AC adapter for ACER ASPIRE 5572NWXCI. 19.5V 4.7A AC adapter for SONY VGN-SR45G. 19.5V 4.7A AC adapter for SONY VGP-AC19V32. 19V 3.42A AC adapter for LG R410. 19V 4.74A AC adapter for LG R410. 19V 4.74A AC adapter for ACER 5630EZ. 19V 4.22A AC adapter for FUJITSU LH700. 19V 4.74A AC adapter for TOSHIBA PSMD4L-01G004. 19V 4.74A AC adapter for HP PPP012D-S.
19V 4.74A AC adapter for HP PROBOOK 4310S. 18.5V 3.5A AC adapter for HP N17908. 18.5V 3.5A AC adapter for HP PROBOOK 4420S. 19V 4.74A AC adapter for SAMSUNG R580. 19V 4.74A AC adapter for SAMSUNG AA-PA1N90W. 20V 3.25A AC adapter for LI SHIN ADP-65HB. 19.5V 3.34A AC adapter for DELL INSPIRON N4010. 19.5V 4.62A AC adapter for DELL INSPIRON N4010. 19.5V 3.34A AC adapter for DELL P11G001. 19V 4.74A AC adapter for SAMSUNG NP700Z7C-SO2UK.